TPI leads the way in the study of human movement and the golf swing. Your individual physical characteristics enable you to swing a golf club in a way that is unique to you. Will Brett will design a training program tailored to how your body moves by using the TPI precision fitness screening. The Level 1 screen is a series of standing, sitting and floor-based movements to evaluate your motor control, stability and mobility. This evaluation uses scoring based on PGA/LPGA tour averages. The screening is done with minimal equipment brought to your home or gym and takes approximately 20 minutes. This screening identifies your strengths and weaknesses in flexibility and stability. This information is then used to create a golf fitness training program that will address any deficiencies and improve on what is already great about your movement. Physical limitations are directly linked to how you can swing a golf club. A lack of mobility in the calves for instance will prevent good power transfer and cause you to early extend into the ball. Someone with reduced torso rotation may find themselves performing a reverse spine angle which can lead to severe back injury. After the screening your results are added into the TPI Pro website, which emails you a detailed report on how your movement is impacting your golf swing, along with an explanation of each test. You will also be assigned a fitness handicap (+7 to 36), which is used as a quick reference to monitor your improvement. As with the golf handicap, your goal is to lower your score, which will come with improvements in how you move and control your body. The Level 2 assessment focuses on strength, power and endurance. As with the Level 1 screen, your abilities are scored in relation to PGA/LPGA tour averages. You’ll be throwing medicine balls, pushing and pulling on cables, doing various moves to evaluate your leg and grip strength, and doing a 60-second cardiovascular test. If you’re lacking in strength or power, your exercise routine will include movements to address these weaknesses. If you struggle with mobility and stability, your exercises will focus on these issues before building further strength and power. To make a strong house (your body), you need strong foundations (mobility and stability). As with the Level 1 screen, you will receive the results along with an explanation of each test and its impact on your golf swing. You will also be assigned a fitness handicap (+7 to 36), which is used as a quick reference to monitor your improvement. As with the golf handicap, your goal is to lower your score, which will come with improvements in how you move and control your body. After 6 weeks you will be screened again, to measure your progress. The results will determine what modifications or additions should be made to your training program. As you proceed, your body will adapt to your exercises, which means a new program is needed to continue the progress. In just a few weeks you’ll see gains in your club head speed, rotational mobility and power and endurance. Why focus on mobility and stability? Mobility is a combination of joint range of motion and muscular flexibility. As a golfer, you need that flexibility in the right areas for an effective swing. 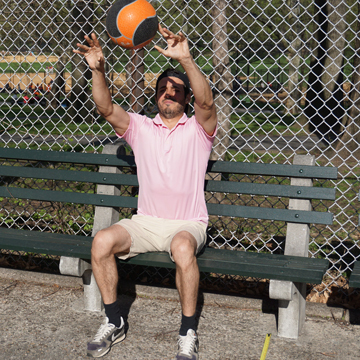 Stability allows the body to remain in position when internal or external forces are applied. It combines balance, strength and muscular endurance. Both of these physical attributes are vital for keeping your posture steady while your upper body rotates into the backswing. This rotation over your lower body creates a stretch between your upper and lower body. This is called the X-Factor. Getting into this primed, coiled position and firing the downswing in the correct sequence requires major amounts of mobility, stability and coordination. 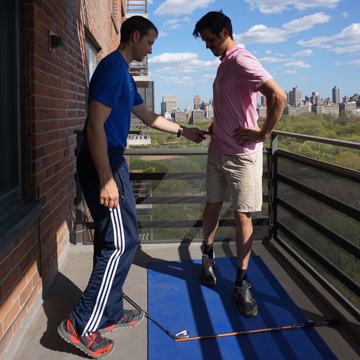 Injuries are more likely when a golfer builds strength and power on an unstable platform. Get screened to find out if you are maximizing your potential.